Our 7 year old son Kaedan, and middle child of three, has always kept us on our toes and has been a ball of energy. We knew early on that he was special just because of his amazing intelligence and wit. Our journey began this past Spring, when we started to notice the gradual changes: His gait was poor and he had difficulty running; His energy level as well as appetite decreased; He did not sweat whenever he played outside; His thirst and urination were very frequent. Based on the symptoms he was showing, we feared that Kaedan may have developed diabetes or problems with his thyroid gland and scheduled a sick visit with his doctor. After having blood work and a urinalysis done, we were told that everything came back normal for Kaedan. The symptoms persisted until his well-visit a couple of weeks later, and Kaedan was referred to a pediatric endocrinologist. 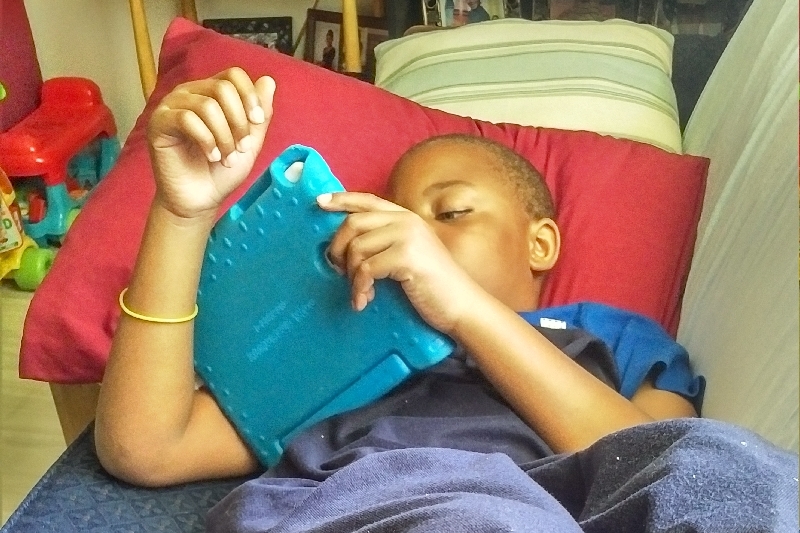 The endocrinologist retested Kaedan and diagnosed him with Hypo-pituitarism due to an underactive thyroid gland. She informed us that he would have to take medication for the rest of his life in order to replace the missing hormones in his body. Before starting medication, she ordered a head MRI in order to see what was causing his pituitary gland to malfunction. 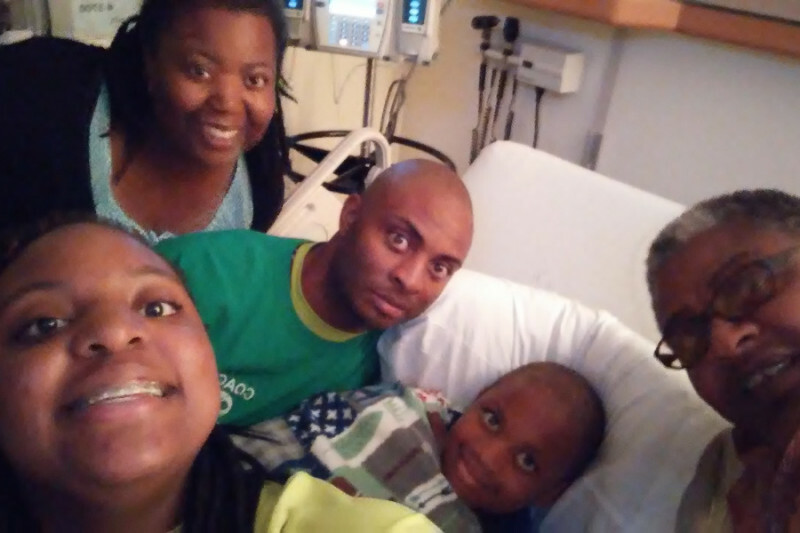 We were called back into her office the very next day, July 27th, and were told that Kaedan had a brain tumor, the size of a marble, that was located near his hypothalamus and pituitary gland. We consulted with an oncologist the same day and were told the tumor was likely cancerous and to prepare him to start chemotherapy very soon. The following week, Kaedan received another MRI to see if the tumor had spread to his spine. It was a blessing when we were told there were no signs of the cancer in his spine. 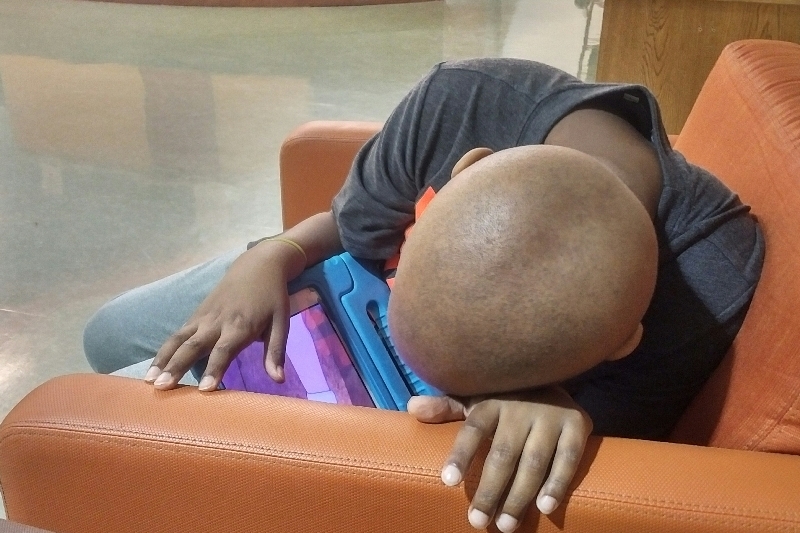 After a lumbar puncture to test his spinal fluid for tumor markers, Kaedan was diagnosed with an intracranial Non-Germinoma Germ Cell Tumor (NGGCT), a very rare brain cancer. 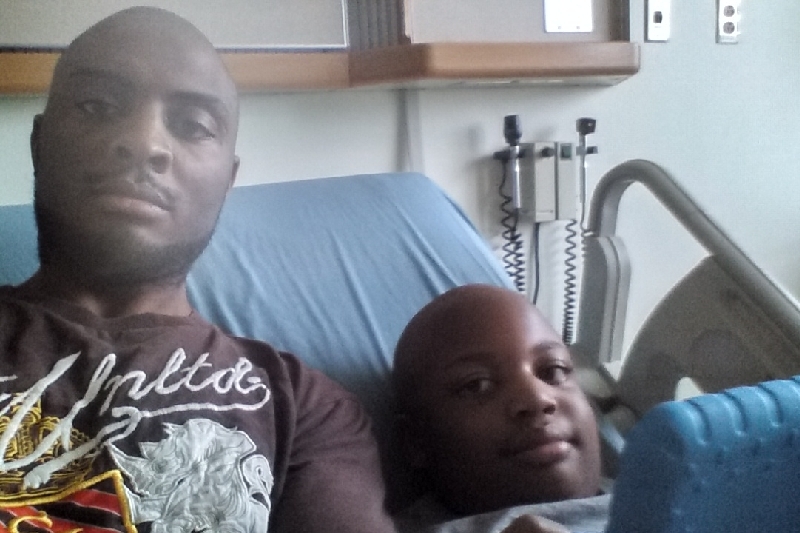 On August 10th Kaedan began his chemotherapy journey to treat his cancer. He will also be receiving radiation therapy, which will follow chemo. We have been so blessed with a prayerful and supportive family and group of friends. Our lives were completely changed overnight and we know that Kaedan has a long fight ahead of him. We can't wait to see him back out on that soccer field, and we know we will get our ball of energy back very soon. We ask that you all continue to pray for Kaedan and our family as we embark on this journey. Thank you and we love you all. Back at the clinic for the some more blood work. Last week's round of chemo didn't go as smooth as planned but we made it work. It's been an interesting journey, but he's making the best of it; and most importantly improving. This past Sunday we spent almost 3 hours playing volleyball with Terryn and some of her friends. He probably ran around more in that one afternoon than he had in the past month combined; and enjoyed every minute of it. Last night, for the first time since the start of summer, he even slept through the whole night without waking up to use the bathroom or get something to drink (symptoms of his tumor). It's small changes but big progress. Getting prepped to start Round 2 of Chemo. Prepared to have a great weekend, which is already looking good as we were told we should get to go home Monday instead of staying a full 7 days. Now just to make it Saturday so we can see College Football kickoff. Go Gamecoks.....and I guess the Tigers too. Back home after our first visit to the clinic for lab work since starting Chemo and all his numbers look good. Hoping they stay that way so we can make the first day of school.